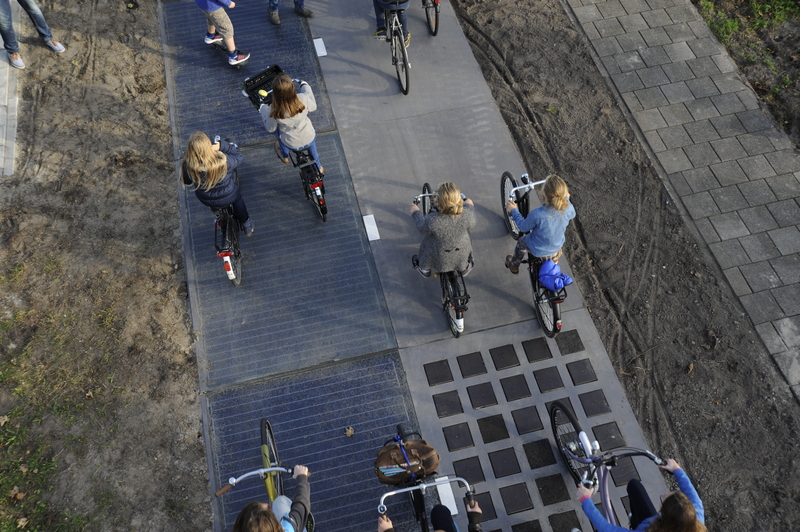 This week, SolaRoad opened its first solar powered bike road in the Netherlands. The test lane is about 100 meters long and will give useful information about the efficiency of the solar panels build into the concrete lane, covered with a thick glass sheet to protect the panels. An interesting experiment, yet there are many objections to make. Why lay solar panels on the ground, where they will rapidly get covered with mud and dirt? SolaRoad says it solves this problem by tilting the bike lanes slightly. The test project will show if this is sufficient. Another important objection is that the panels aren’t tilted properly to catch as much solar power as possible. According to The Guardian this could mean a decrease of 30% electricity. It is very unlikely solar panel roads will be powering street lightning, let alone electric vehicles passing over it.